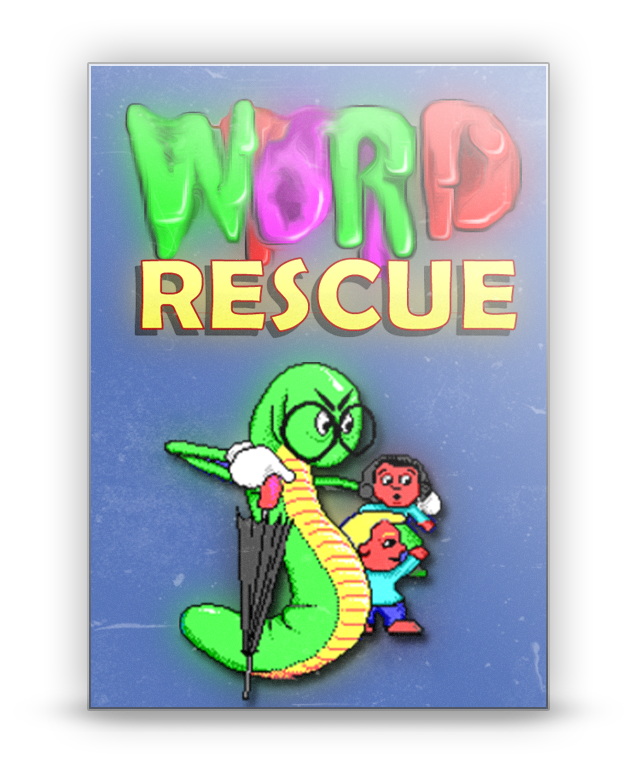 Word Rescue is an incredible adventure for kids who want to rescue all the stolen words from the mean ol' Gruzzles. 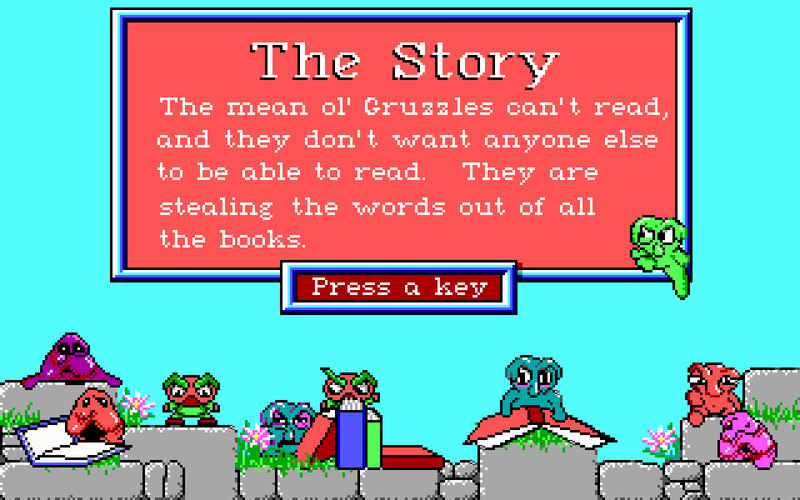 The Gruzzles can't read, and they don't want anyone else to read. So, they've stolen the words out of all of our books! Benny Bookworm needs your help to stop the Gruzzles. He needs you to reunite the stolen words with their meanings. Once you join all the words with their pictures, Benny will put them back into the books. 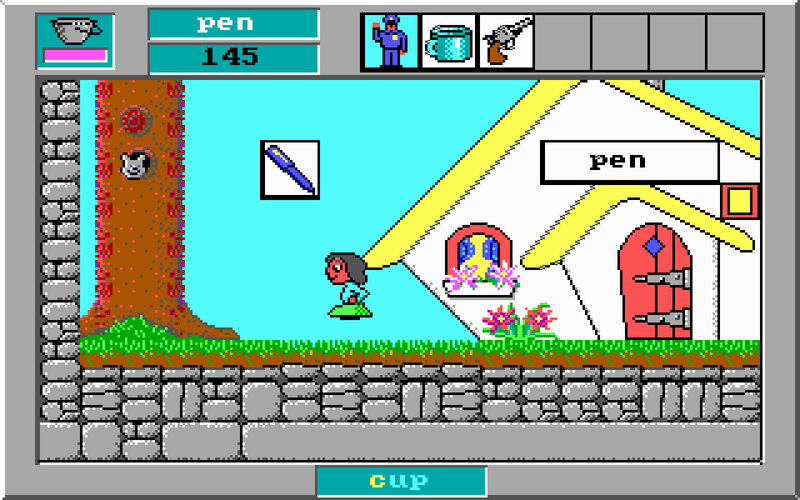 This is an engrossing educational game with vivid EGA/VGA graphics and support for Adlib and Sound Blaster. 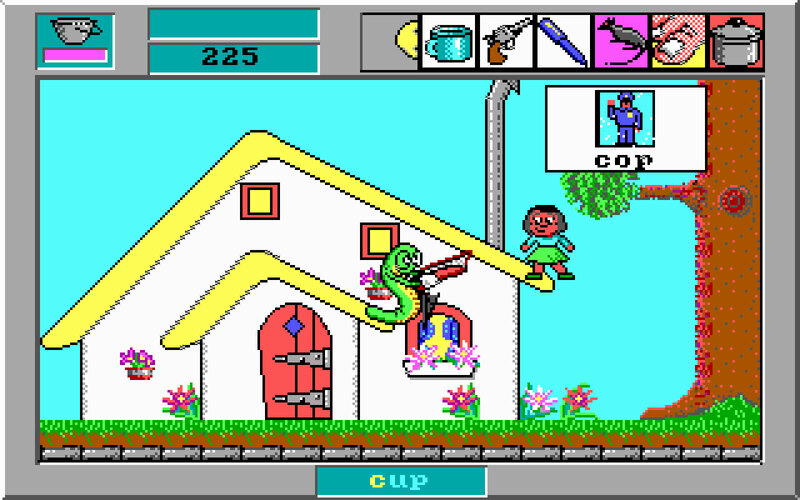 Using the Duke Nukem graphical system, Word Rescue has state-of-the-art dual-screen scrolling graphics similar to what's seen on the Super Nintendo and Sega Genesis home gaming systems. 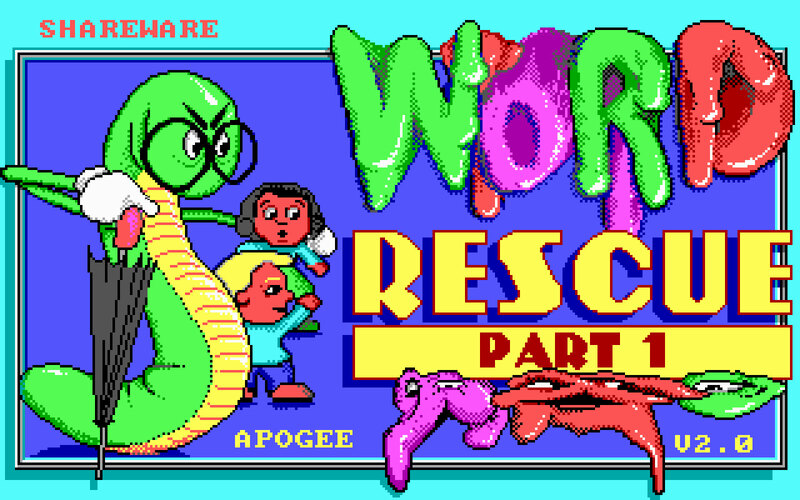 Even "grown-ups" will like Word Rescue! 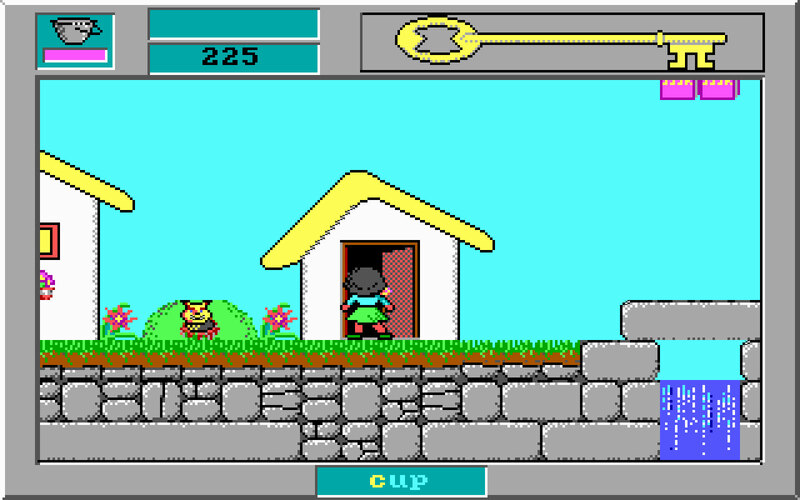 Play as either a girl or a boy. Visit amazing locations on your word-finding adventure, as you hunt for missing words. Dark caves, rocky cliffs, deserts, happy towns, haunted houses, funny factories and creepy dungeons are just some of the places you'll explore. Progress Through Play: Educational software that's fun to play and designed for a range of players of all ages! A World of Words: Three unique multi-level adventures, with 330 words to rescue. 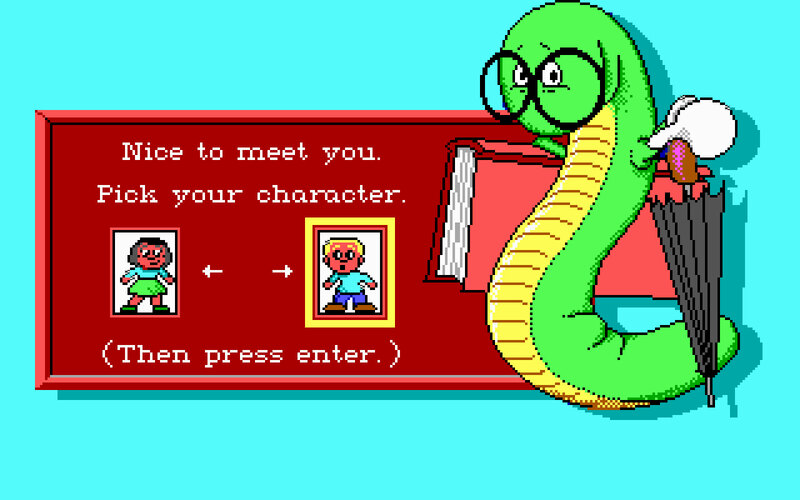 Everybody's Included: Choose whether to play a girl or a boy character. Comprehensive Learning: Learn reading, spelling, word meanings, and logic-solving. Save Your Progress: Save and restore your progress and use the built-in help and high score list.